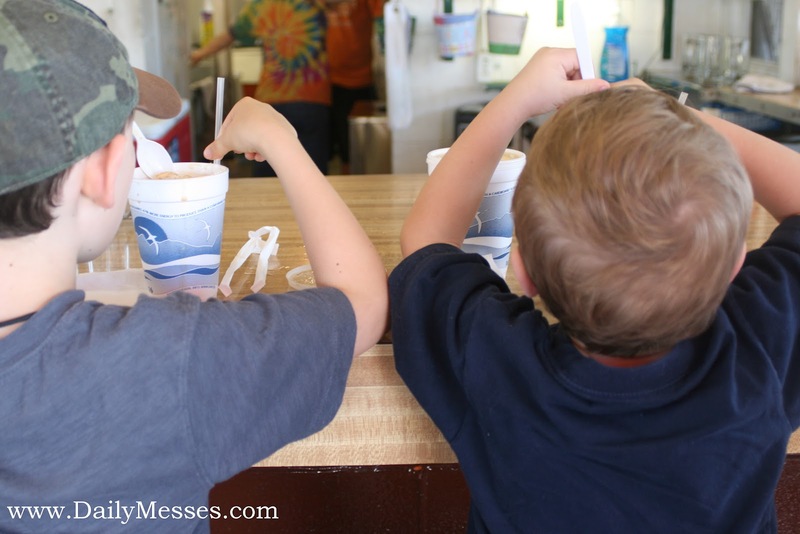 Daily Messes: It's Ice Cream Soda Day! It's Ice Cream Soda Day! 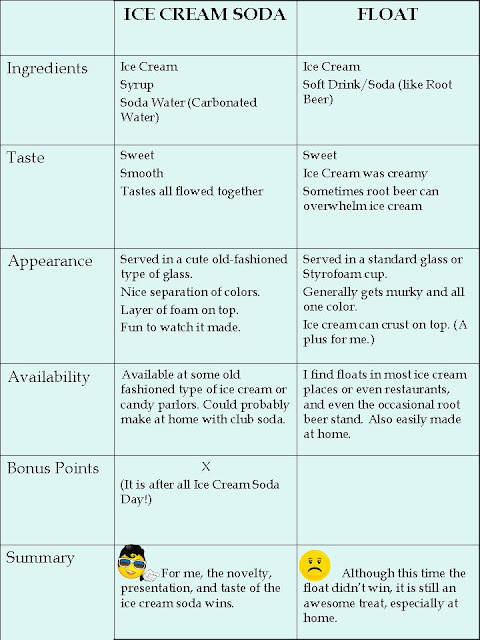 What is an ice cream soda? Is it the same as a float? It all depends on where you are. 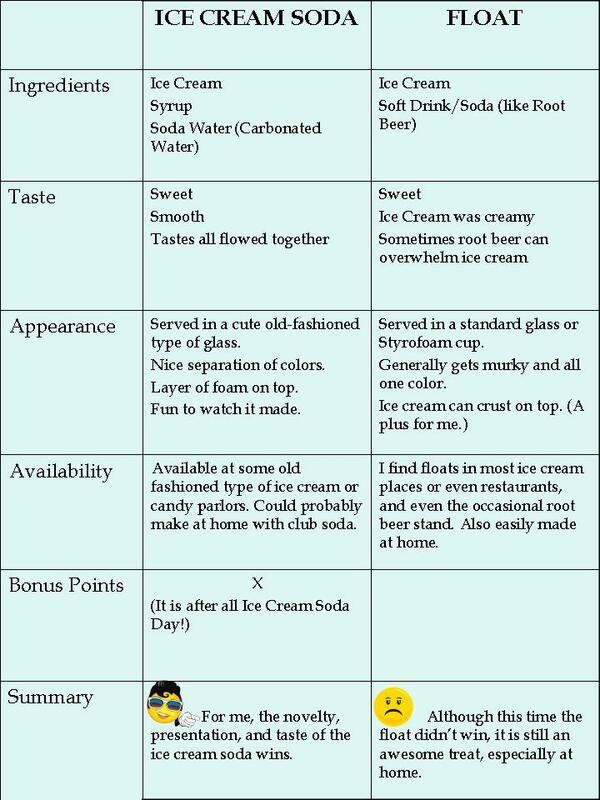 Apparently (in the US) an ice cream soda is ice cream, syrup, and soda water (carbonated water). 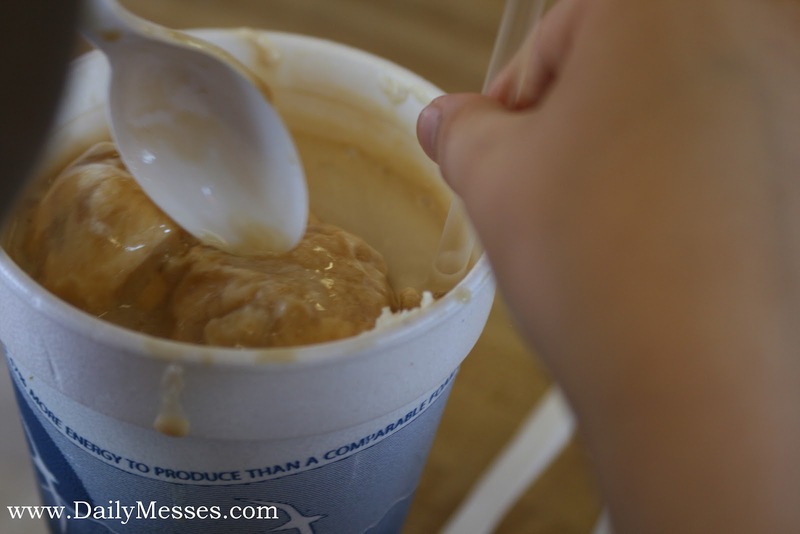 A float is ice cream and soft drink, like root beer. 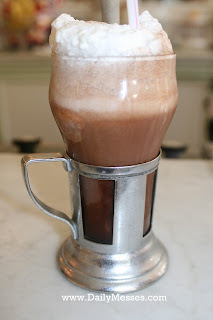 I've had root beer floats before and am a big fan, but I can't remember having an ice cream soda. To make a good post for Ice Cream Soda Day, the boys and I have been hard at work to experience just what the difference is. A few days later, we ventured out to find an ice cream soda. There are a few old fashioned ice cream and candy parlors within a 20 minute drive from our house, so we picked one and went. We got there right after they opened, so we beat the crowd and got to sit at the counter. It was super cute inside. They had a tiled floor, a candy/chocolate counter, and the ice cream counter. We agreed to the chocolate ice cream soda and sat on the bar stools and watched as it was made. First she grabbed an ice cream soda glass, added in chocolate syrup, then a couple scoops of ice cream, then soda water and stirred it together. The boys downed theirs in what seemed like seconds and then tried to make a move on mine. (Don't worry, I kept it safe.) It was delicious! In different parts of the world, ice cream sodas are called different names. Some of the names are Black Cow, Spider and Float. As a side note, the legend of the ice cream sundae was born from ice cream sodas. Supposedly, ice cream sodas became so popular that some some places banned the sale on Sundays. (Since soda was also sold as a "cure", it was sometimes thought to be a controlled substance and thus not sold on Sundays.) And so the soda-less ice cream Sundaes were born. 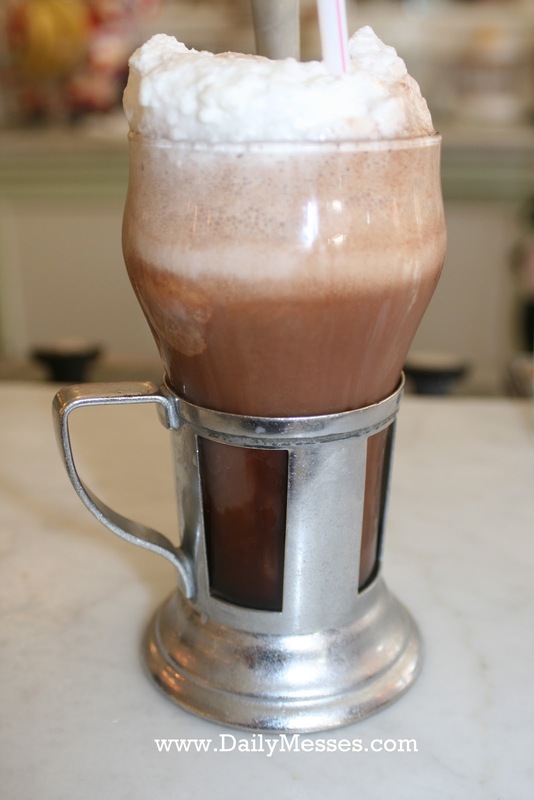 What's your favorite, an ice cream soda or an ice cream float? What's your favorite flavor? Post in the Comments and let me know!